With its 14" barrel and compact 26.4" overall length, the Remington 870 TAC-14 is extremely maneuverable and delivers plenty of 20 gauge stopping power. Built on the proven, all-steel 870 receiver, the little TAC-14 is handy in tight places, especially where there isn’t enough room to effectively use a full-sized shotgun. It’s even compact enough to make a dandy truck gun. 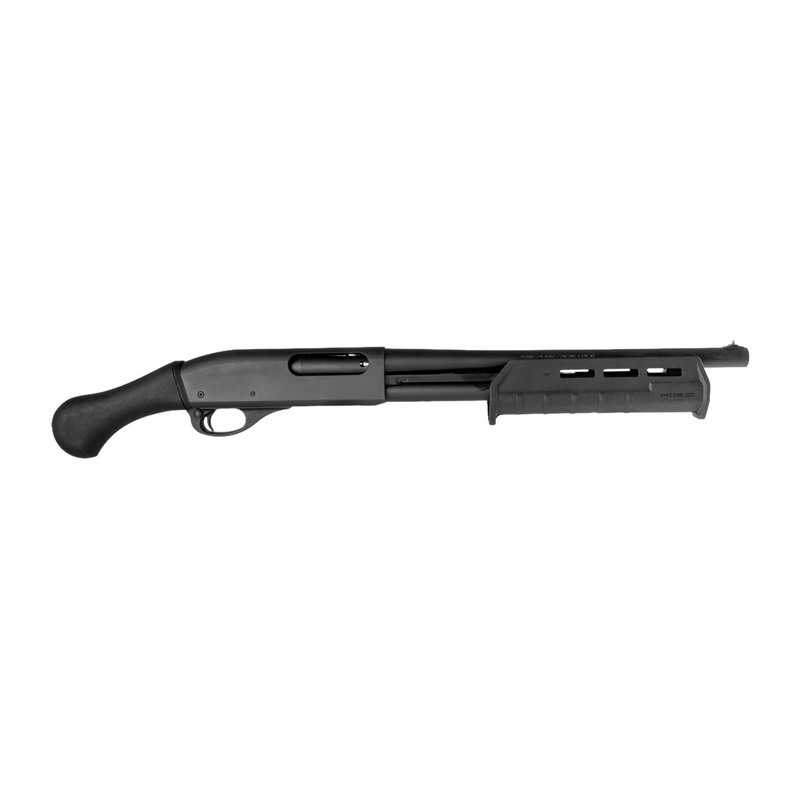 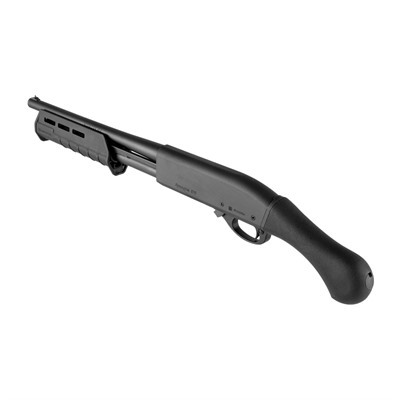 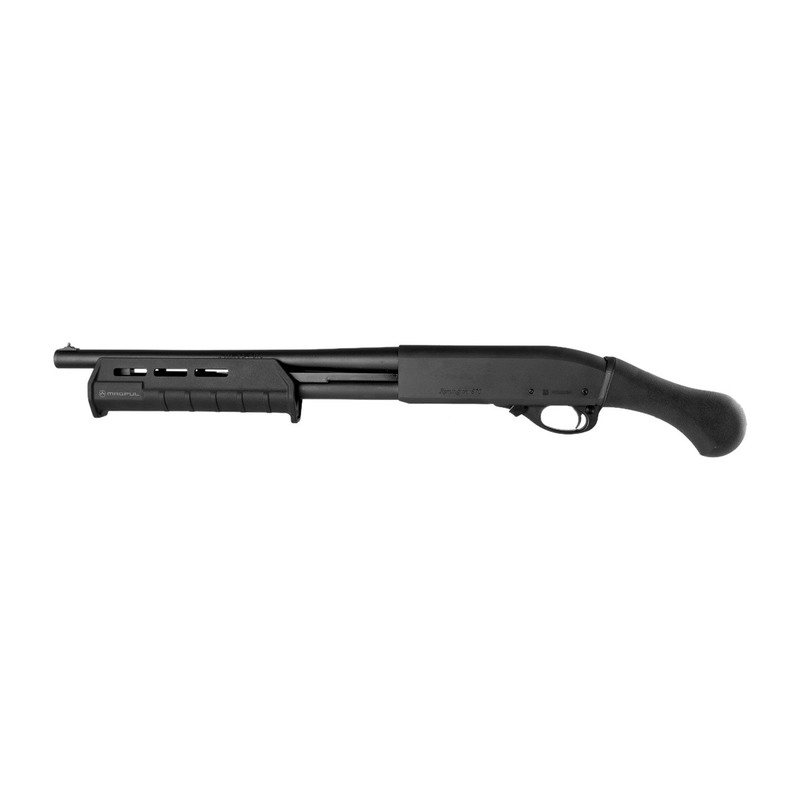 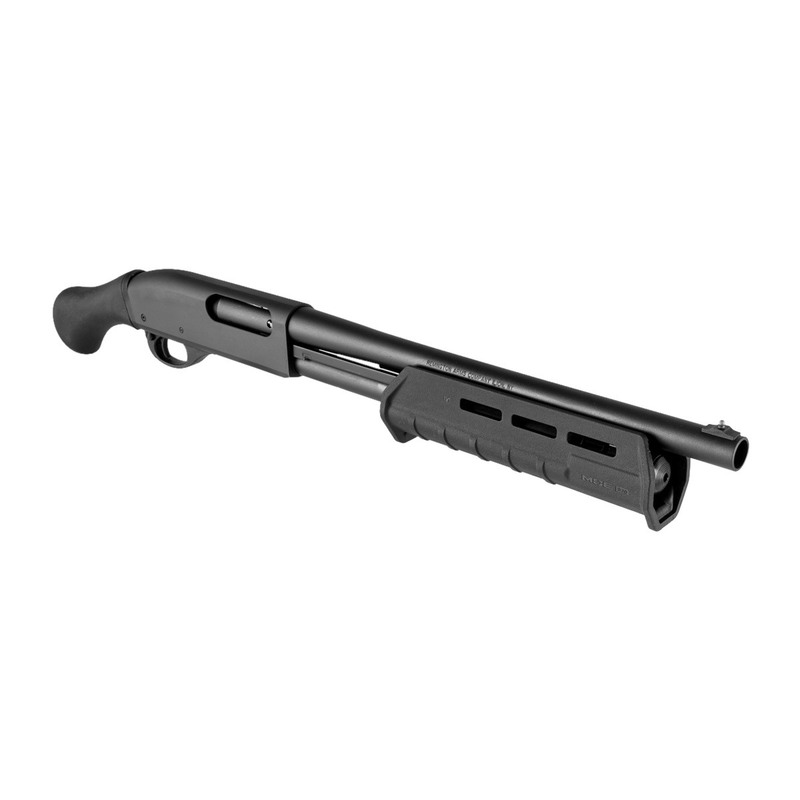 The 870 TAC-14 sports a "bird’s head" Shockwave Raptor pistol grip that helps take the bounce out of recoil, ensuring you have excellent control of the gun, shot after shot. 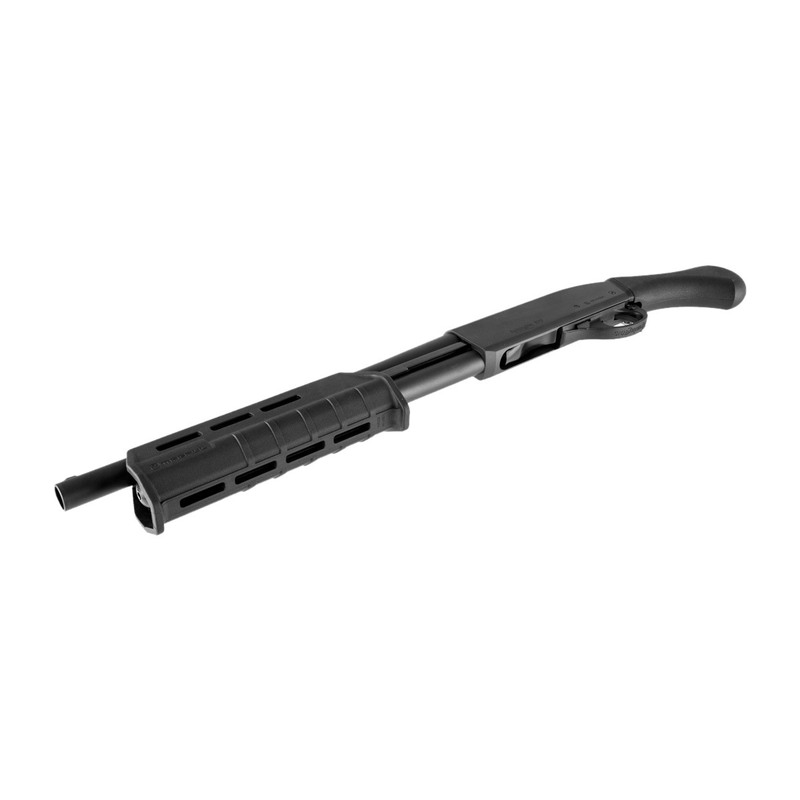 Rounding out the TAC-14 is a Magpul® MOE® forend with M-LOK accessory-mounting points, plus extended front and rear handstops that further enhance your control of the TAC-14. 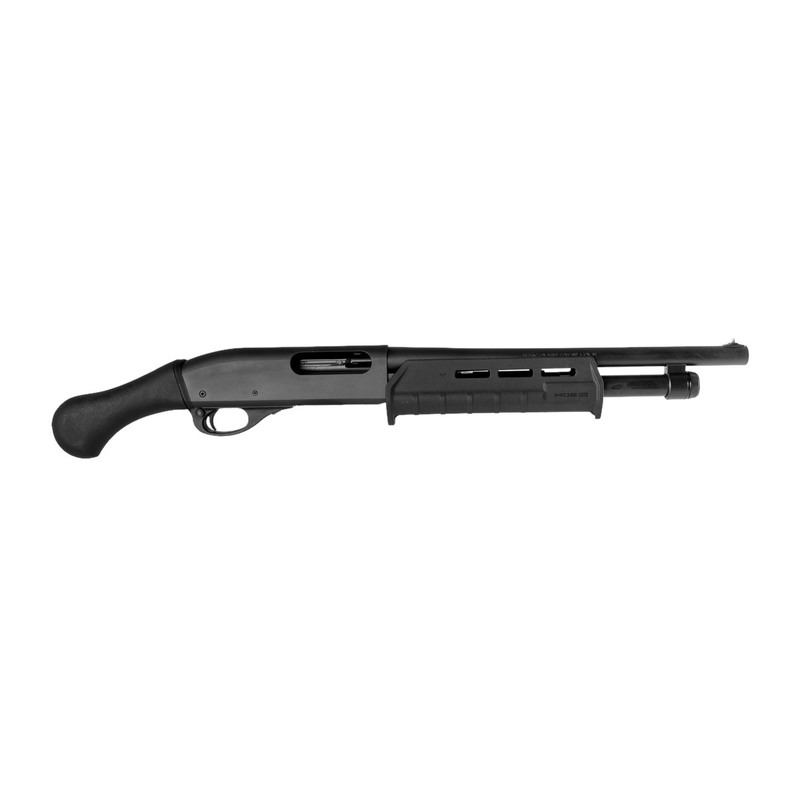 The Remington 870 TAC-14 is not classified as a “shotgun,” “short barrel shotgun,” or “any other weapon” under the NFA, so it is not subject to federal Class 3/NFA firearms restrictions and is simply classified as a “pump-action firearm.” This is because its overall length is greater than 26", and it is not capable of being shouldered, meaning the TAC-14 can be purchased without an ATF NFA registration or tax stamp. State and local restrictions may still apply.